"No More Working From Home." Working from home is one of those topics that makes people squirm in the workplace. Employees want it so badly, they can hardly stand it. Managers are nervous about whether employees will actually work. And senior leaders, mostly just hate everything about it. Marissa Mayer, CEO of Yahoo, made the call to end telecommuting at Yahoo this week. No more working from home. The reaction was swift and intense. Mayer has been criticized by many. Other corporate leaders understand at least on some level why Yahoo has made this decision. Old school "command-and-control" leadership is much easier when you can monitor employee's actions inside the four walls of an office setting. Even progressive "lead-and-inspire" styles of leadership are easier when you can interact with employees directly and frequently. The fact is, work from home programs are challenging for employers. 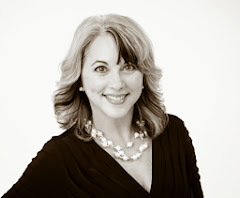 Alignment: How can you be sure everyone's on the same page? Collaboration: If people aren't in a room together, how do they work together? Compliance: What if people take advantage and don't work their full 40+ hours? Control: Without supervision, how do policies, procedures, and standards hold up? Many companies let fear, uncertainty, and doubt keep them from introducing or maintaining these types of programs. The decision is complicated too, because of the actions of some employees. It's easy for employees to become entitled, disconnected, and less collaborative when they work from home. It's also not uncommon for employees to adopt bad habits, get distracted, and give less than an employer deserves. I believe it's usually the minority, but in some cases that's not the case. Work from home programs are incredibly valuable for companies and their employees. Programs require structure, accountability, and trust. When programs fail, it's usually a failure in one of those three areas. The bottom line is that both companies and employees have a role to play in making work from home programs a success. 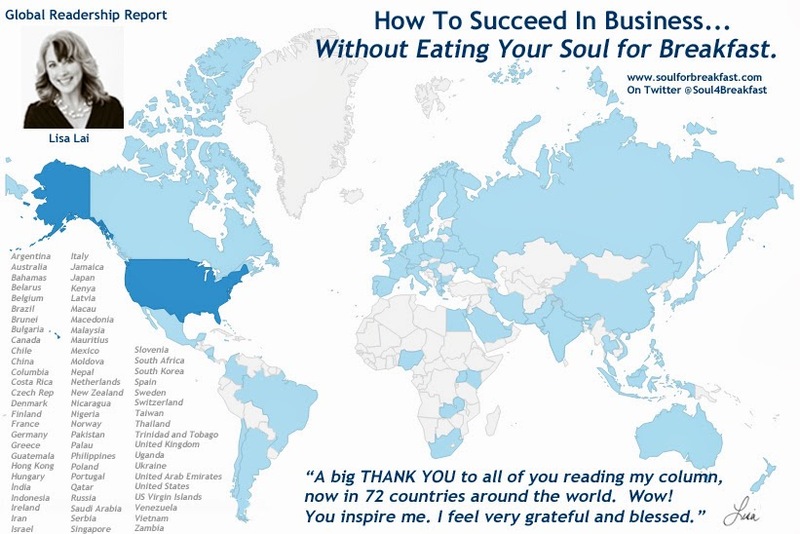 So what role do you play in making your work from home program a success? If you want to earn the right to work from home, you need to do your part or risk losing the opportunity. Here's a short list of do's and don'ts for employees. The better you perform when given the chance to work from home, the better your odds of doing it more often and keeping the benefit over time. What are the Top 10 Do's and Don'ts that earn you the right to work from home? Below are my Top 10 Do's and Don'ts when it comes to earning and keeping the right to work from home. I've enjoyed the benefit myself, and paid it forward to many others in my career, so I think I have a good understanding of both sides. The best thing you can do is to try and understand your employer's perspective and concerns when it comes to working from home. It gives you a balanced perspective and a much greater likelihood of being successful. This is true whether you're trying to get a program introduced or keep it in place. 1. Acknowledge and appreciate the benefit. When companies introduce work from home programs, they're going out on a limb. More than likely, company leadership has battled over the issue. There are always detractors who challenge the concept and the value. There's a good chance someone put his or her behind on the line for others to have the opportunity to work from home. It's only worth it if employees show appreciation and recognition of the benefit. Otherwise, leaders may choose to give up the fight and support other initiatives. > Companies use work from home programs as a competitive advantage to attract talent and a mechanism to control costs, but be clear that this is first and foremost a huge benefit to employees. To you. Be sure to show your appreciation on a regular basis. Encourage your co-workers to do the same. The more employees embrace and appreciate the program, the more likely it is to be maintained. 2. Work as hard or harder than you do in the office. The biggest concern companies have about employees working from home is that they won't actually be working. Employees might take advantage of the freedom from supervision. It's easy to get caught up in personal to-do's and the distractions of a home environment. Do stuff around the house? Run errands? Check personal email? Update Facebook? Go for a long lunch? Employees may be busy all day, but not on business priorities. > Work just as hard, if not harder, at home as you would in the office. Remember: You're not doing anyone any favors by working hard while you're home. This isn't like working at home after hours or on the weekend, where the company should be thankful you're spending any time at all. It's your job. It's expected, and it's appropriate for your employer to have that expectation. 3. Stay accountable to results and prove it. Successful work at home programs have clear and agreed upon performance criteria - a way to prove that employees are achieving results while at home. At some point, someone on the leadership team will ask the question about whether employees are more or less productive at home. The only right answer is "as productive" or "more productive." > If your program doesn't have defined results for you to achieve, develop them for yourself. At any point in time, you need to be able to "prove" your results. Know what you need to achieve, get it done, and then document your results. Extra credit? Share a summary with your manager periodically to reinforce your overall success and accountability while working at home. 4. Be visible and engaged with co-workers. Collaboration is key to success for most organizations. It's hard enough to create a culture of collaboration when people are in a shared office space. Send everyone home and collaboration can fall apart. It's a real and valid concern for companies. (Sidebar: this is the primary reason Yahoo has cited for terminating their work at home program.) Signs of isolation, lack of engagement, and non-collaboration kill work at home programs really quickly. > Be visible and engage with co-workers. Active dialog is key. Responding to email is expected. Pick up the phone for meaningful discussions. Actively participate in meetings by phone. Be visible on Instant Messaging. Establish rules to manage disruption if needed, so you can be productive, but tolerate as much collaboration and interruption as you can. 5. Create separation between "work" and "life." One of the greatest benefits of work at home programs is that employees can better balance work with other life priorities. Companies are asking more of employees than ever before. Theoretically, balancing work and life should be much easier when you work from home. In reality, it's tough. On the one hand, you can get distracted by real life and short-change your work. On the other hand, you can over-invest in work because it's staring you in the face 24x7. Creating separation and distinction between work and life is key to being successful and delivering results. > Create a routine at home. Establish a set space for work, distinct from the "enjoyment" spots in your home. Set consistent work and break hours. Don't let your personal life be too present when you're working. And if you work in an area you also play, store your work out of sight at the end of the day. The more separation, the better. You might think that the Don'ts are just the opposite of the Do's. That's not the case. A few of these make all the difference between earning the right to work from home and having it taken away - even if you crush all the Do's above. So don't stop reading now. Keep going. 6. Don't act entitled or take the benefit for granted. This may seem like the opposite of "Show Appreciation" above. There's a subtle distinction. Sometimes even when employees appreciate a benefit, they become entitled. When employees believe that they deserve certain benefits, they start to take them for granted. Companies don't like when employees feel entitled to have anything. It's a hot button among leaders and it's important for you to avoid it. > Recognize that it's your responsibility to demonstrate the value of every benefit you're given. This is true of your salary, the quality of your assignments, or working from home, among other benefits. Why is it in the company's best interest to do this vs. that with their money, their resources, or their commitment? Do your part to reinforce the decision to offer a work from home program by doing items 1-5 above. Try hard not to become entitled over time. Earn the right, and deserve it, over and over again. 7. Don't take advantage of trust. Work at home programs create all kinds of opportunities to take advantage of freedom. Some of that freedom is exactly what work at home programs are designed to introduce. 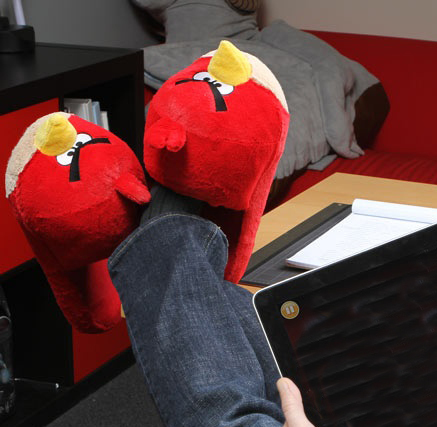 Work in your Angry Bird slippers. Slouch to your desk without spiffing up. Go for a run over lunch. Flexibility is the biggest perk that comes from working at home. It also creates a window of opportunity to push the envelope and take advantage. > Take advantage of all the benefits that come form working at home - but only to a degree. Don't take advantage of the flexibility you've been given. Earn the trust that your employer is showing by letting you work from home. Here's a trick: If your boss was watching in any given moment, would he or she approve? Keep yourself in check. Enjoy small freedoms, but avoid taking advantage. 8. Don't give yourself too much flexibility. One of the hardest things for most employees when working from home is actually being productive. It seems counter-intuitive, I know. In some ways, it's easy to be more productive because the interruptions and distractions at the office are minimized. In other ways, not having others watching, coupled with the flexibility to approach work however you want, makes it hard to concentrate and just get moving. Flexibility can be paralyzing and decrease productivity at times. > Don't give yourself too much flexibility. Find creative ways to "trigger" active work. Mine is going into the office, turning on all the lights, waking up my computer, and then leaving to get a steaming hot cup of coffee. When I walk back into my office and it's set up and ready to go, it acts as a trigger for me to dig in. Yours might be shutting the door, closing your Facebook tab, opening the blinds, checking in with a co-worker, etc. Don't wake up every morning contemplating where, when, or how you'll work. Drop into your routine and let triggers get you productive. 9. Don't take care of children (or dogs or friends) while working. Unless your company explicitly approves it - working at home doesn't mean caring for children at home. Employees can't work effectively and be a care-giver to children at the same time. Caring for adults is a bit easier, because they understand the need to take a call or have a few minutes of quiet time. Children aren't able to respect work time or work spaces. Nor should they be. Most employers won't tolerate children in the background when you're on calls, or otherwise distracting you while you're trying to work. > If you have children, arrange for their care just as you would if you were going into an office. If you have someone come into your home to watch the kids, isolate yourself completely and establish firm ground rules. If you take your children somewhere else for care, do it outside of your work hours just as you would if you were going into the office. Your big gain in terms of time with your family will come from eliminating your commute time. 10. Don't resent inspection or the need for validation. I mentioned earlier in this article that trust is a key component of a successful work at home program. That said, employers can't just cross their fingers and hope that the workforce is being productive. It's completely reasonable to "inspect" achievement and require validation. Employees may be required to log-in for a set number of hours, provide status reports, or review progress. It can feel like big brother is watching. Guess what? Big brother is watching. > Don't resent having to account for your time at home. You may know how hard you're working, but your manager is responsible for more than just your work habits. When you're given the benefit of working from home, you have to accept the burden of demonstrating results. Track your time, progress, and deliverables. Happily provide proof to your manager to reinforce the benefit of the work at home program to the company. One day in the not-too-distant future, working from home - or anywhere else you want - may be more the norm than today's traditional world of offices and storefronts. It's a complicated path from here to there, but it's very likely to happen. Until then, being given the right to work from home is a huge benefit and one that has a certain level of responsibility tied to it. You have to earn the right to work from home, not just once, but every day. Your role in making a telecommuting program successful is important. It all starts with showing appreciation and working hard. New levels of accountability are required to establish and keep trust over time. You have to make an effort to collaborate in real-time and use all the tools available to you to stay connected. You also have the challenge of creating distinction between work and life, so you don't let one start to blend too deeply into the other. It's important to avoid becoming entitled or taking these types of programs for granted. It's easy to slip into patterns that result in you taking advantage of your freedom and flexibility without even realizing it. You may end up not giving as much as you should to your employer. Children make things all the more complicated if they're home while you're working; it's best to avoid that challenge altogether, especially if you haven't been explicitly given permission to work while also caring for your child. Your company will require some level of inspection of your progress if you work from home. If you're doing your part, you should have no problem providing it. Negotiate up front how you'll be measured and share your progress freely. Don't resent the request. It's part of the price you pay for the right to work from home. The Final Word: If you have the opportunity to work from home, take full advantage of all the goodness that comes from greater flexibility and independence. Hold yourself accountable to do great work. Make it your goal that there's never any question that you're contributing your best work. You may want to encourage your co-workers to do the same. In this particular case it doesn't serve you well to be the one who's doing it right - if others are doing it wrong. Look no further than Yahoo to see that some number of people abusing a privilege can cause everyone to lose it. Share your thoughts with me about working from home, this Top 10 list, or the news from Yahoo this week by commenting below or sending me an email. I'd love to hear from you. PS: If this article was interesting to you, or you think it could benefit others who work from home, click one of the buttons below to share it.